I woke up to the sound of breakfast. We were several thousands of feet in the air—the houses on the green plain below looked like little plastic ones I used to play with on Monopoly as a kid. On deck, Scoot’s crew, in their signature yellow and black uniforms were already distributing hot meals to passengers. Finally, our turn came—Signature Nasi Goreng with Chicken Satay for C, Nasi Lemak for me. The meals came with chocolates, Ritter Sports Chocolate. I ate the chocolate first. WE JUST CAME FROM AUSTRALIA! We just came from Australia, spending almost two weeks around Sydney, Katoomba, Currumbin, Byron Bay, Surfers Paradise, and Brisbane. It was one heck of a honeymoon trip, something we totally didn’t see coming. Australia wasn’t really on our plan. It just so happened that we got approved for an Australian visa after consulting with One Vine Migration—a multiple entry visa good for a year at that too. CAN YOU REALLY FLY TO AUSTRALIA ON AFFORDABLE FARES? Australia seems too expensive for us, even the flight costs daunt us. But it would be a waste if we didn’t take the chance to travel to Oz—something new after exploring South East Asia for years! 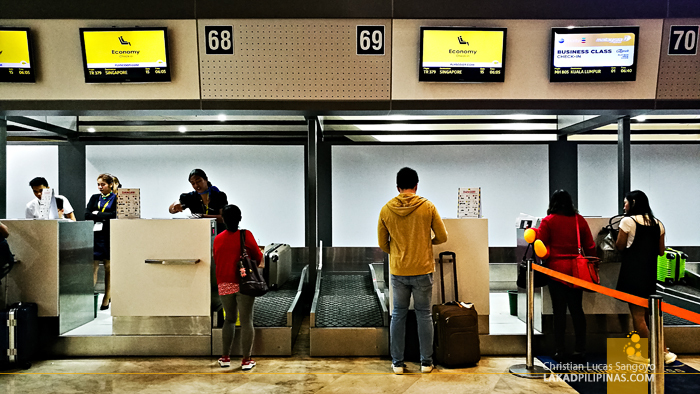 Crossing our fingers, we checked several airlines offering the lowest-priced fare and was quite surprised to find that it isn’t as expensive as we imagined it to be. It’s not South East Asia cheap, but it was relatively affordable than what we expected. 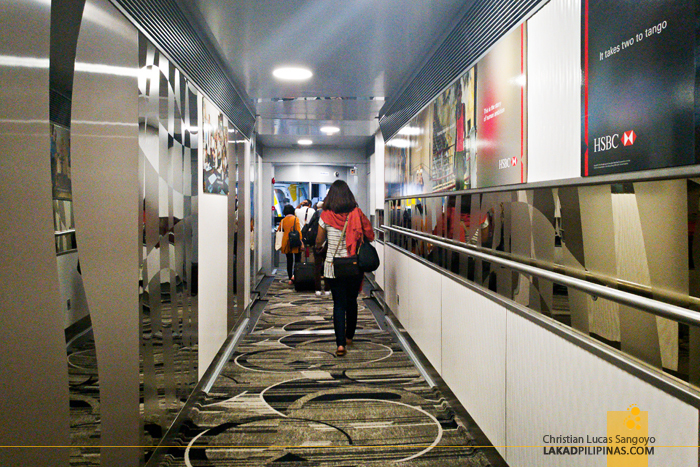 We opted for Scoot, one of the low-cost airlines flying from Manila to Australia. Scoot? 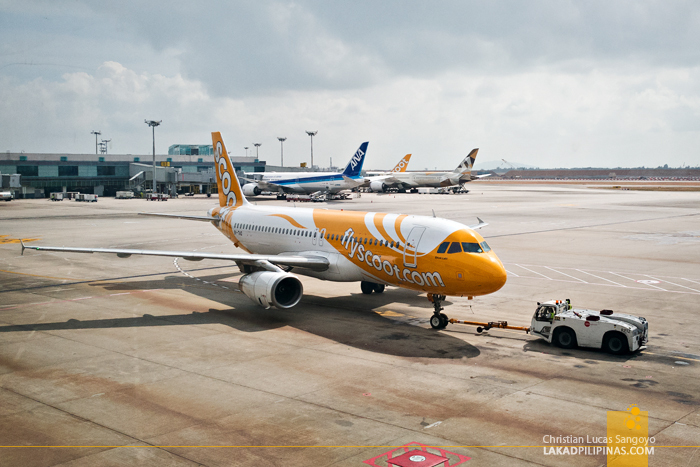 It’s a low-cost carrier managed by Singapore Airlines. 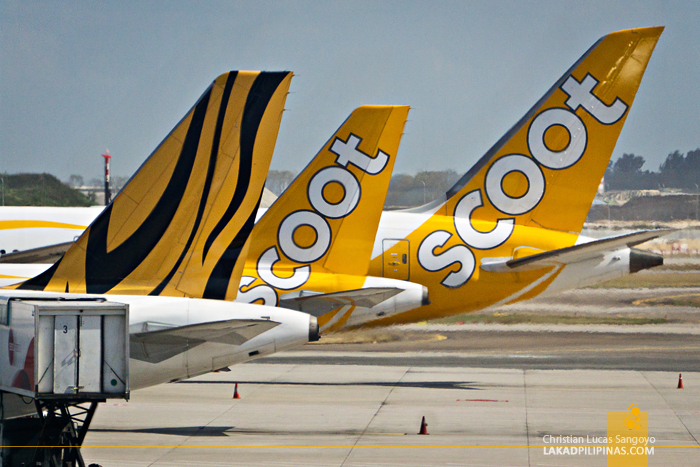 It specializes in long-haul flights and has merged with TigerAir last year—all the TigerAir lines from Singapore now operate under Scoot. Why choose Scoot? Besides the affordable flight fare, we were rarin’ to fly on their Dreamliner aircraft! Can you imagine a low-cost airline flying a Boeing 787! 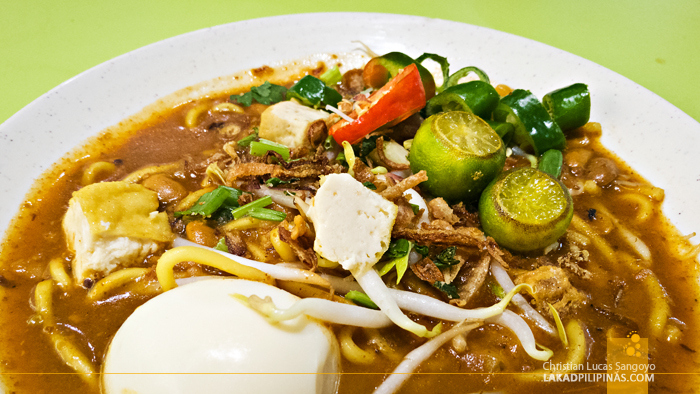 MEE REBUS, WE LOVE SINGAPOREAN FOOD! Our Australian route starts at Sydney and concludes in Gold Coast. 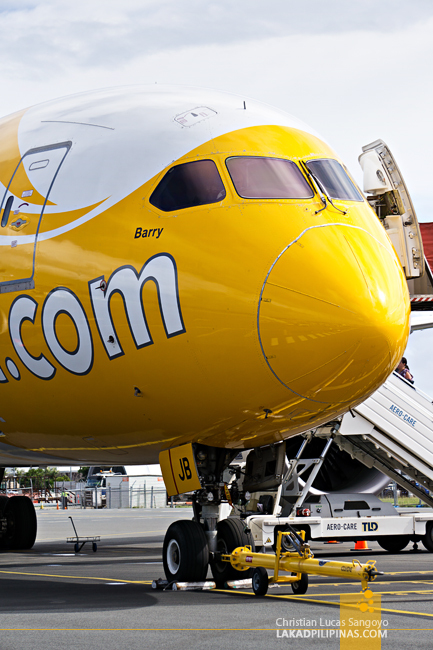 Perfect for Scoot’s flights as they fly from Manila to Sydney, Melbourne, Perth, and Gold Coast. All this with a lay-over in Singapore, which we totally didn’t mind as we like going to Singapore—even to just eat and shop! 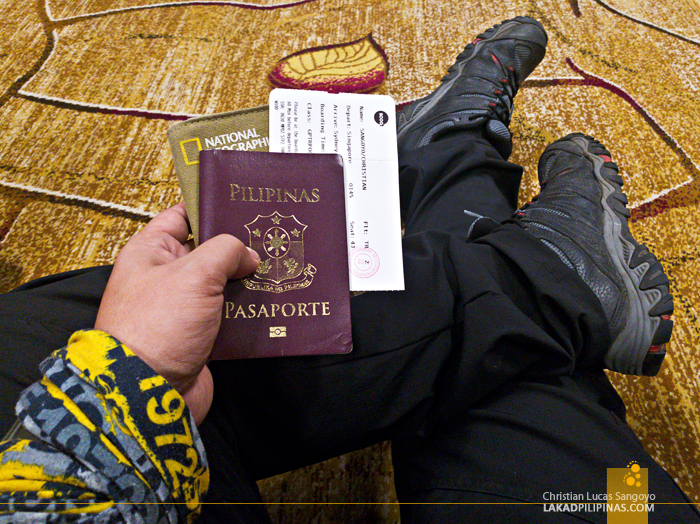 We were booked on a Manila to Sydney, and Gold Coast to Manila flights with Scoot. I like that they have year-round fare promos. The cheapest one they have from Manila to Sydney was at just PHP8,300.00! And the return flight from Gold Coast was at PHP 7,120.00—even cheaper! And to think that we would also have the opportunity to drop by Singapore for almost a whole day! Scoot flies daily to Sydney, they have flights at five in the morning and another at ten in the evening. We chose the morning flight since it would have us at Singapore by nine in the morning and with sixteen hours to spend roaming about before heading back to the airport for the Singapore to Sydney leg. Arriving early at the NAIA Terminal I, we were quickly processed at the counter. We were given two boarding passes for the two parts of our flight, one to Singapore, and the other to Sydney. 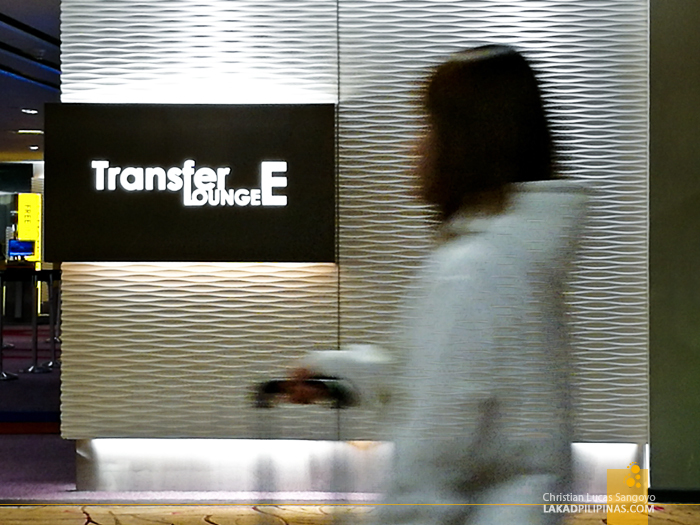 We chose their FlyBagEat option, which has a 20Kg check-in baggage—and more importantly, hot meals with drinks and snack—for an additional PHP3,710.00. Heck, it’s our honeymoon anyway! 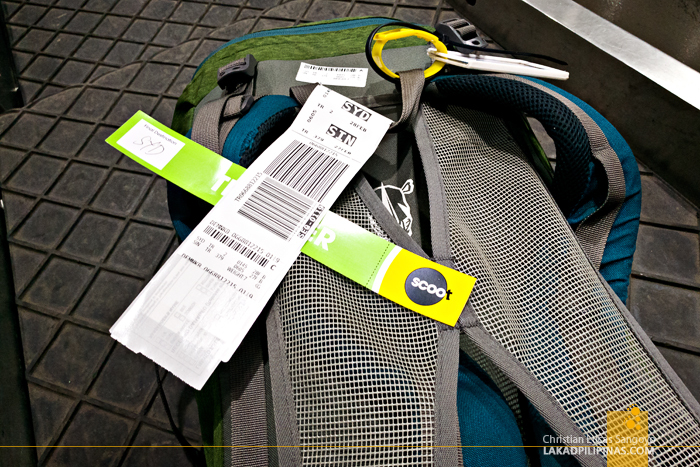 We dropped our backpacks for check-in, the next time we would be seeing it would be on Australian soil. It was quite convenient since we wouldn’t need to drag it around Singapore anymore. Boarding time was hassle-free and very orderly. Typically, I board last to avoid the long and disorderly queue when passengers enter the plane. 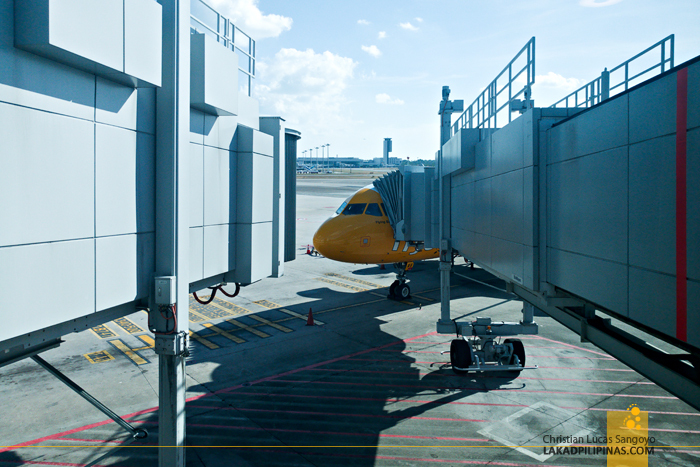 But Scoot’s boarding process was very smooth, they actually enforce the per area boarding procedure! I like that Scoot’s service was consistent, all the way from Manila to Singapore, and to Australia and back. I love traveling but I usually hate flying. I always feel cramped, very uncomfortable, and find it impossible to sleep, especially on long flights. Flying with Scoot was different though. 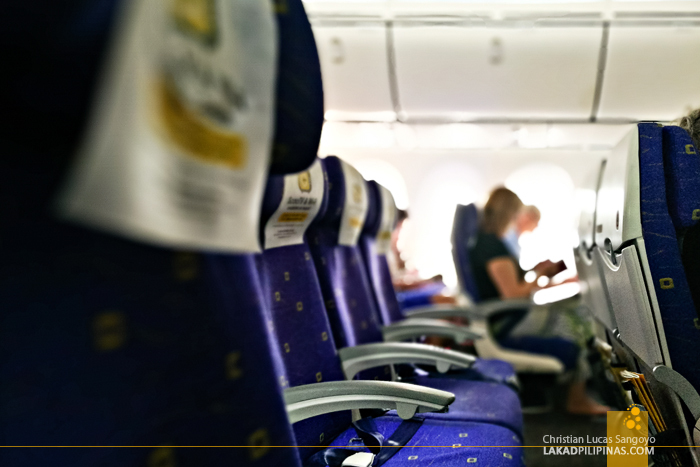 Even though it’s tagged as a low-cost carrier, the comforts it provide to passengers aren’t inferior to its upper class equivalent. 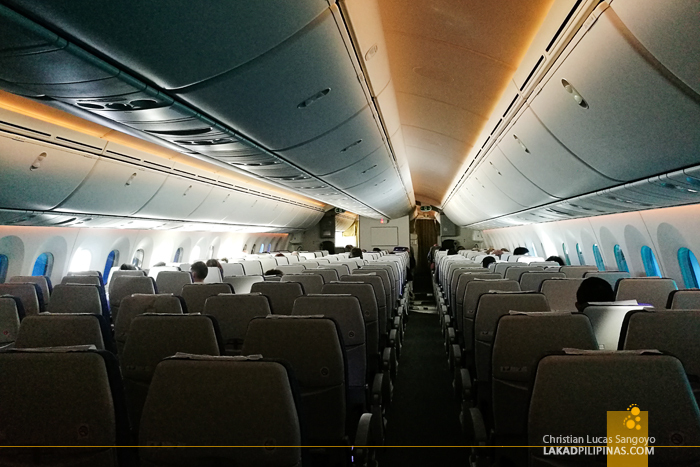 On their long-haul flights aboard the 787 Dreamliner, which we rode for the Singapore to Sydney and Gold Coast to Singapore legs, we were seated on their ScootinSilence area which was in between the ScootBiz business class and the economy area. It’s perfect for people who want to enjoy their flights in quiet, in fact, kids below twelve aren’t allowed on it. Scoot’s flight attendants are mostly Singaporeans and on the few occasions that we got to chat with them to request for something, they’re all-smiles and seemed genuinely friendly. 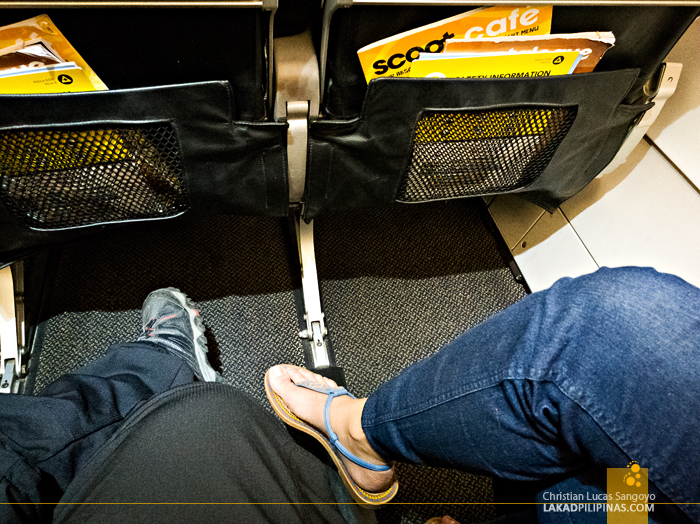 Scoot’s leg rooms are really spacious, like thirty percent more spacious than the usual from low-cost carriers. The back rests can be reclined further and have adjustable head rests. 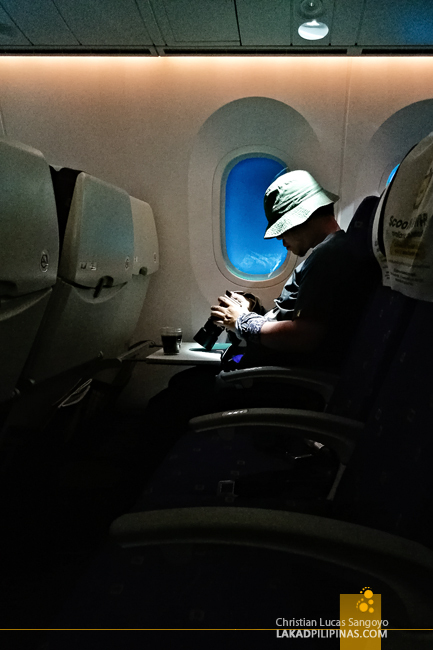 It was heaven—one of those rare instances that I was actually able to sleep peacefully on an airplane! 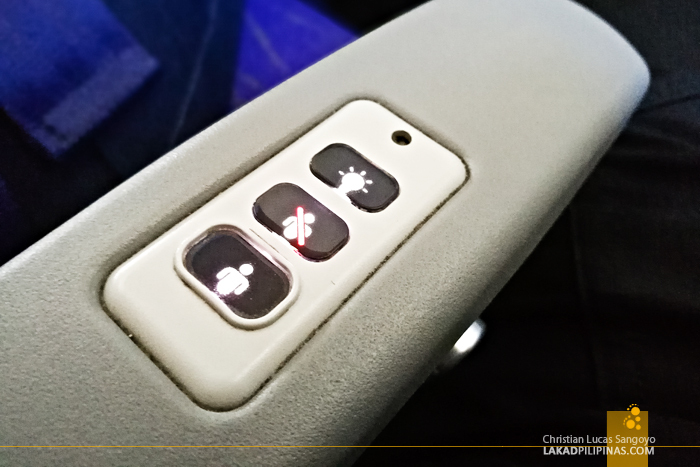 The lights and call buttons are located on the armrest, quite convenient especially for our not-so-tall friends. The only downside is that I almost always accidentally press it, good thing there’s a separate button to cancel a call. 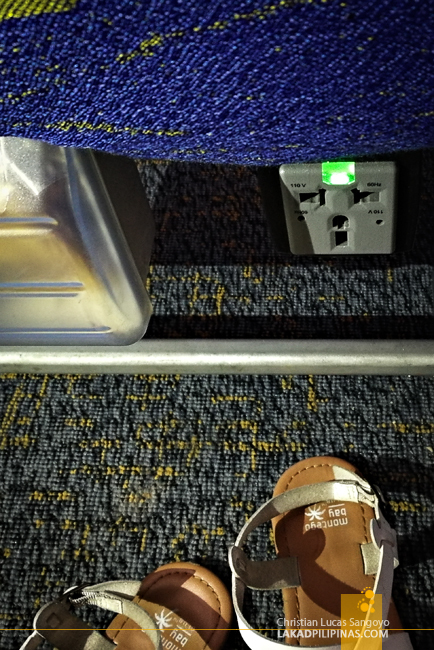 Below the seats, they have international electrical sockets that can be activated for SGD5.00 if ever you need to charge you laptop, mobile phones, a depleted powerbank, or whatever else that you want to power up. And last, but not the least, Scoot’s smart glass cabin windows. It uses electrochromism technology where you can dim or brighten the glass by a push of a button. I like that I can set it to a semi-dark transparency, enabling me to still see the view outside without being blinded by the sun. Besides the usual travel magazine (which Scoot urges you to take home), inflight entertainment on low-cost airlines are practically non-existent. And you’d think that’s the same case with Scoot too when you board their Dreamliners—but that’s absolutely not the case. Scoot provides Internet wi-fi connection aboard their flight. The cheapest is at USD5.00 for a 20MB plan. The succeeding plans doesn’t have data limits but is set on hourly rates. Our flight from Singapore to Australia lasted for eight hours, and in between sleeping and eating, I spent my time watching movies on ScooTV. 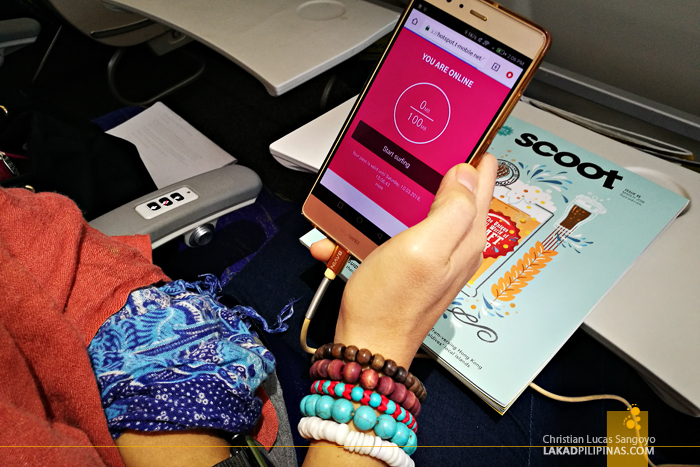 Yes, Scoot has inflight entertainment, and it’s right inside your mobile devices and laptops. 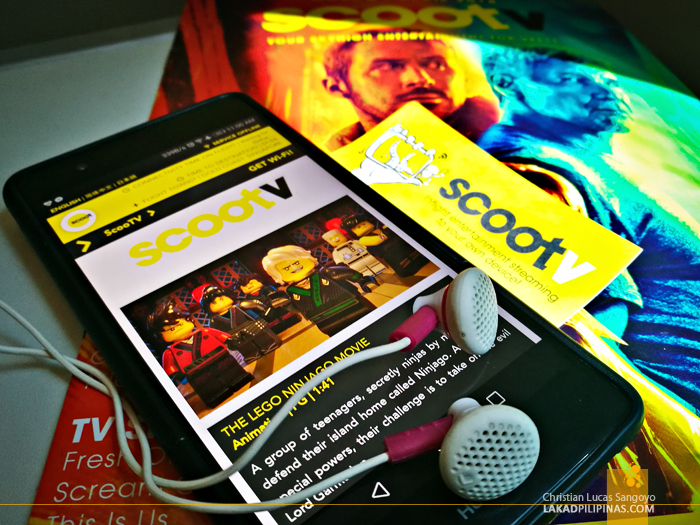 Once on board, you can download the ScooTV app on Android or iOS devices, select a movie to watch, and purchase it via credit card. If you’re planning to watch movies on ScooTV, I advise that you bring a headphone or earphones with you since it isn’t provided by the airline and it’s impolite to watch a movie with the volume blaring all over the cabin. 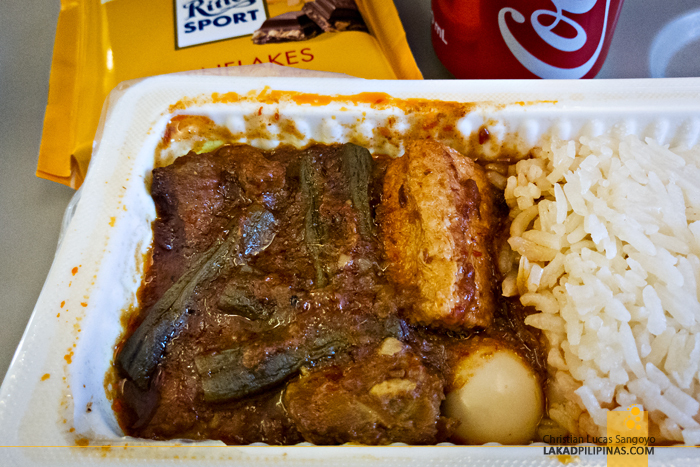 Airline food is usually boring, but Scoot’s meals are definitely not, especially if you like Singaporean food like we do. During our four flights via Scoot, we were able to sample a variety of local dishes—from nasi goreng, chicken satay, nasi lemak, to makhani chicken with basmati rice. We also tried a few of their international offerings particularly their teriyaki chicken and beef and mushroom lasagna. Their hot meals were all fine and filling, and living up to its name, extremely hot—I suggest you let it cool down a bit before chowing down, lol. My favorite would be their Signature Nasi Goreng with Chicken Satay, but more than a few of our friends told us that we should have tried their Hainanese Chicken Rice. Another thing I like about their meals are the sweets. 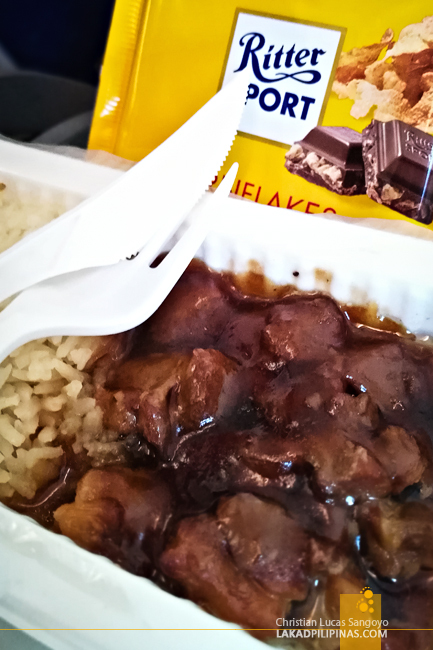 On each of our meals, they gave us a bar of Ritter Sport chocolate which we really loved! And on their premium meals, a Häagen-Dazs chocolate ice cream, which was also really, really superb. Note that we don’t normally dig sweet stuff! Browsing on their inflight menu, we noticed that pre-booked meals have more options and are much cheaper than if you actually buy on the plane—so it’s no brainer if you’re a voracious eater like me, lol! All in all, we’ve had a really good experience flying with Scoot. 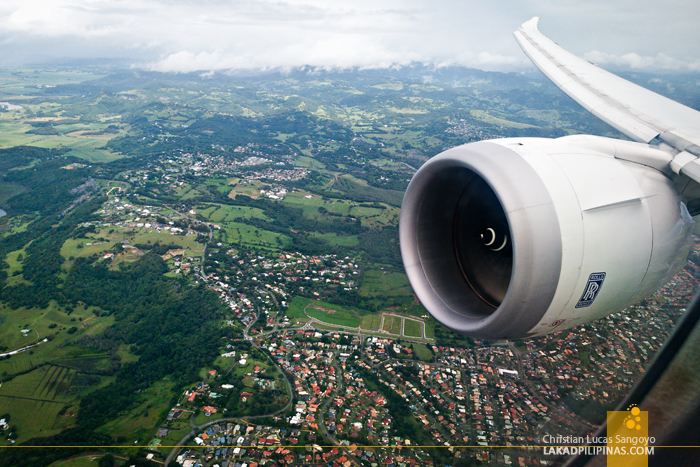 It surprised us that you can actually experience a world-class long-haul flight even with such relatively low fares. Highly recommended especially for travelers looking not only for the cheapest flights, but for quality flights as well. ~ SCOOT MADE OUR TRIP TO AUSTRALIA POSSIBLE. VIEWS AND OPINIONS ALL MINE.